There are a lot of mobile apps that pay you for doing some task of referring your friend. Well, most of them are a scam and you will end up getting nothing. On the other hand, there is some genuine money making apps in India which pays you real money. You can use these apps at your leisure and can earn extra bucks. Who doesn’t want extra money? This will help you to meet some extra expenses in your day to day life. Having a second source of income is now essential. You must be thinking that is it really possible to make money through a mobile app? Yes, it is possible. There are apps like Paytm, Google Pay, PhonePe through which you can earn money by referring a friend. So in this article, I will tell you the best money making apps in India. These apps are genuine and I have personally tested them before presenting it to you people. PayBox is already having over 1 million registered users. Sign up process is real simple. You will get Rs. 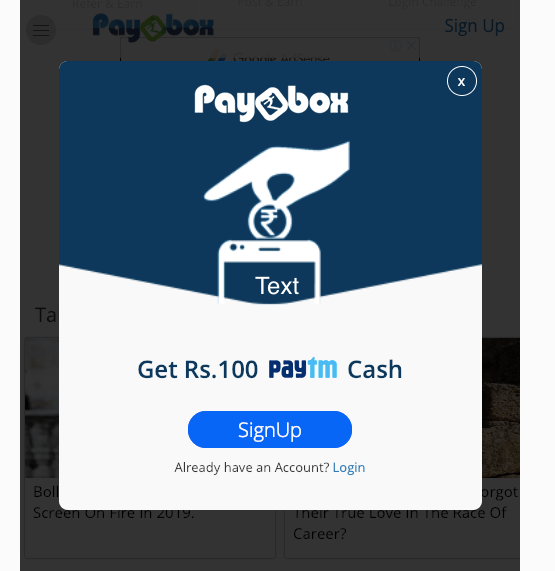 100 free PayTm cash as a joining bonus. On successful sign up, Rs. 100 will be credited to your PayBox wallet. Initially, you will get Rs. 20 as a free cash and the remaining amount will unlock as you earn more PayBox cash. PayBox sign-up process is really fast & easy to get started. You get Rs.100 free PayTM cash as a joining bonus. Once the process is complete Rs.100 free recharge amount is added to PayBox wallet. Please note that Rs.20 is unlocked instantly and remaining amount keeps getting unlocked as you earn free recharge. Users can place first redemption request when unlocked wallet amount reaches Rs.50. PayBox empowers users to save on online recharges by giving out free recharge that can be redeemed to PayTM or Mobikwik. 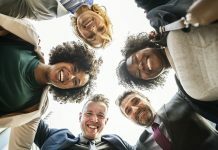 You can earn unlimited cash by referring your friends. You will get Rs. 5 as a referral bonus for inviting a friend. There are an additional Rs. 50 PAyTm cash in case more than 10 friends join through your referral code. PayBox also provides free recharge tricks and offers. They are providing the latest mobile recharge offers so that you can save on recharge. This will help you to earn daily talk time on your mobile. There is a reward for being a loyal user of PayBox. you will get Rs. 100 as PayTm cash for login for continuous 100 days without a break. This is basically to keep you engage and help you earn more and more rewards. Google Pay is the app by non other than but google. It was earlier known as TEZ app. Wherein you can transfer money from one account to another account within seconds. You don’t need to share your bank or mobile details. Last year Google has renamed it to Google Pay. You can refer your friend on google pay and earn Rs. 51 as instant cash. The main benefit of using google pay is that you don’t have to store money in wallet. It directly transact from your bank account. You will get instant cash back directly in your bank account. With google pay, you can pay any utility bills and do mobile recharge. You will earn cash back on each transaction and the same will be credited to your bank account directly. 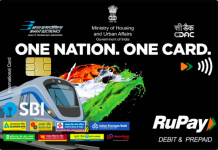 On every transaction through the app, you will get a scratch card which has some amount of cash back. There are many other offers from the merchants which will also make money for you. Loco is the real-time mobile quiz app hosted by Gaurav Kapur. Play the quiz and win exciting prizes. The app invites users to play the quiz in real-time and lets them earn real cash. There are two time slots when the quiz will be available. The app was earlier known as Showtime App. The host Gaurav Kapur will ask 10 multiple choice questions and offers them lives to come back into the game if they are eliminated. The price money will be credited to their Paytm account. There are multiple users who are playing at the same time and the prize money will be distributed among them. The app was launched in November 2017 and is already having more than 1 crore of download as on Jan 2019 on Google Play store. The app is available in Hindi and English version. They are soon launching it in other languages. On each day, one minute prior to the start of the game, the app displays rules on the mobile screen. You must have to join the live game on time, else you will not be able to play the game and will remain only spectator. The questions are based on various topics like current affairs, politics, sports, food, entertainment etc. 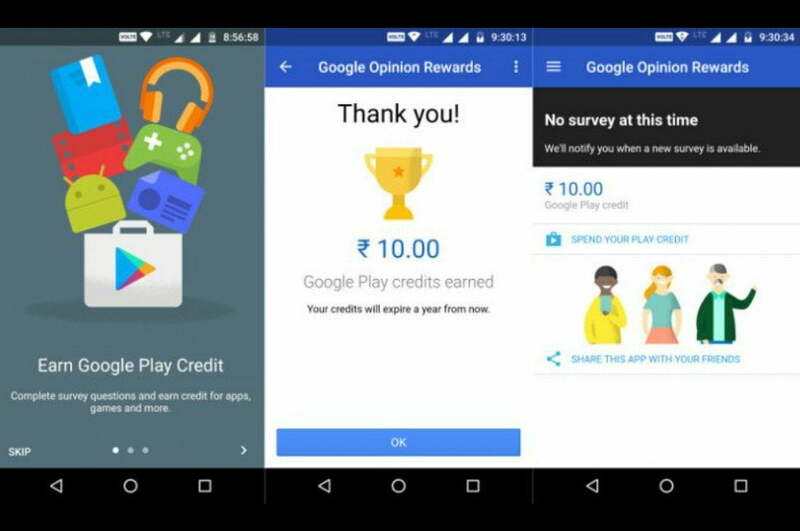 Google Opinion Reward is a google’s quick survey application which is available on Google Play store. It enables users to fill up surveys and win Google Play credits. Which you can use to buy any kind of paid apps or any other content from the play store. It is a quick survey made by Google consumer Surveys. The best part of the app is that you will be able to earn Google Play Credits which can be used to buy anything from the google Play store. You need to sign up and provide basic information about yourself. The survey will be based on the information that you provide on the application. The reward will start from Rs. 10, however there is no information on the highest amount you can win from google via surveys. 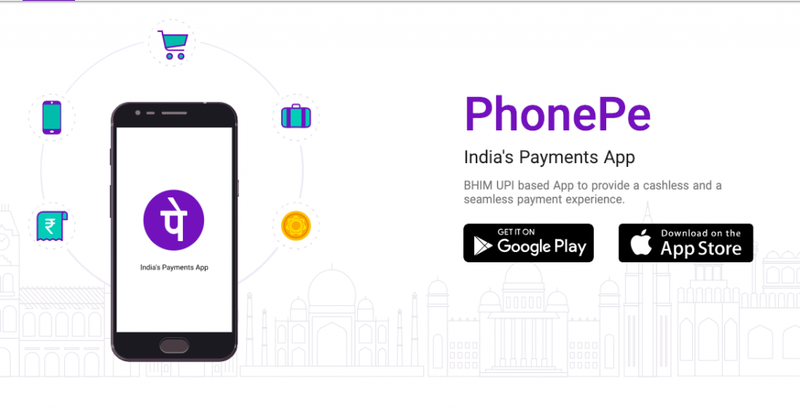 PhonePe is the UPI based payment system that allows money transfer between two banks. you can earn Rs. 75 on sign up and Rs. 150 on the first transaction. Refer your friend and you will earn Rs. 75 cash back. You can transfer money via PhonePe UPI ID, mobile number, bank account linked with PhoenPe. The app also offers cash back on various online transactions and bill payments. Through the app, you can pay utility bills, mobile, and DTH recharge, send and receive money, pay credit card bills and insurance premium. You just have to link your bank account to PhonePe once. The app will make payment directly from your bank account. You don’t have to store money in a wallet, it is always laying in your bank account. 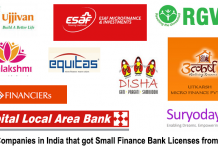 There are various payment methods like UPI, PhonePe wallet, debit card, credit card, QR codes etc. You can also make money from the great offers and deals that the app is offering. The app is available in English, Hindi, Gujarati, Kannada, Marathi, Bengali to ease the use across the nation. Previous articleHow to Select Liquid Fund?